Have you ever heard something for the first time and felt it resonate in you as if you have known it forever? That’s what it was like for me when I learned about the universal law of attraction (LOA). It felt more like a remembering of what I already knew. This awakening of my reality has made it so much easier for me to leverage this universal law to change my reality and to successfully coach others so that they can change theirs. The universal law of attraction states that whatever energy we project into the universe is joined by or matched to energies that are of an equal frequency, resonance or vibration. In other words, what you focus on expands. The kicker about the universal law of attraction is that it is always at work — just like gravity. And, because it’s always at work, we must be mindful of the energy we are extending to the universe to ensure we get what we want instead of getting more of what we don’t want! Here’s a recent example of LOA at work in my own life. Last Sunday I volunteered to register voters for the important upcoming November election. For ninety minutes I became the person in front of the grocery store that I always avoid – the person with the clipboard! I recruited my 23 year old son to go with me as he is much more interested and involved in politics than I am. We arrived for a quick training session and were promptly sent out, clipboards in hand, to a small shopping plaza nearby. My son took one side of the mall area and I took the other. I fully expected him to register tons of voters because he’s young, vibrant and very enthusiastic. But that’s not what happened. I had stationed myself outside the doors of a grocery store and for twenty minutes I asked, “Sir/Ma’am, are you registered to vote at your current address?” Most responses indicated that the person(s) were already registered — which was great. A smaller number of responses were, “No speak English.” It didn’t take long before I was frustrated. On top of that, it was hot and humid and a Sunday afternoon when people were just trying to get everything in order for the new week to start. I felt invasive of their time and energy. Being an experienced success coach who understands and leverages law of attraction, I immediately recognized my negative thinking and began to shift myself by asking, “Wouldn’t it be nice if people who have been wanting to register to vote but haven’t had time showed up right here, right now? That would be awesome!” And, I started looking at each new person coming in and out of the store as the person the universe had sent to register with me because they hadn’t had time to register anywhere else. In less than five minutes, a young man came out of the store and when I asked my question he responded with, “My girlfriend has been telling me I need to register to vote and I just haven’t had time.” Shift happened that fast! After I registered him, I texted my son that I had my first person and I continued to create the opportunity for more people to register with me. When we left, I had registered three people. My son had not registered a single voter. My son knows that I practice LOA in my daily life and he understands how the law of attraction works. The difference in our experience is that I quickly caught myself thinking those same thoughts and I changed my reality by deliberately shifting my thoughts. 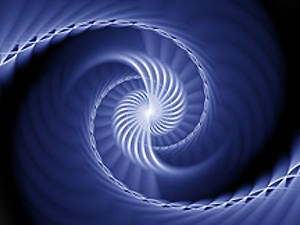 The simple act of shifting my thinking changed my energetic vibration which was then matched. The result was that I created opportunities to register people who had not yet had the chance to register themselves. I later realized how important those three new voters were in the context of the day’s goal. There were sixteen volunteers scheduled to work that afternoon and the overall goal was to register fourteen new voters. My three new voters, captured in just ninety minutes, accounted for more than twenty percent of that goal. In fact, if all sixteen volunteers had registered three voters, there would have been forty-eight new voters – 343 percent of goal! Because I am a certified LOA success coach and have been practicing these techniques for a while, I’m able to quickly recognize and shift my energy to get the outcome I desire. But for others, making that shift is not so easy, even when they understand the basic concepts — like my son. Here’s five steps that can make LOA work for you. Accept that you and everything around you is energy. It has long been known that activities of cells and tissues generate electrical fields that can be detected on the body’s surface. Scientific instruments can actually measure this energy in the form of tiny biomagnetic fields that are directly associated with the electrical activities in the body. While your entire body emits energy, the bulk of it is concentrated in your brain, where your thoughts are formed. Thoughts are energy. The measurable activity in the brain’s overall electric field are, in part, your thoughts racing. Even as you read this article, the thoughts you are thinking create electrical impulses that can be measured if you had a few wires hooked up between your head and a machine. So thoughts are energy, the same as everything else. That energy has a certain vibration that radiates into the world around you. Like attracts like. This goes all the way back to Plato in 391 B.C. and his “law of affinity” where he claimed that likes attract (earth to earth, water to water). That law has, over thousands of years, evolved to what energy workers understand as the law of attraction. The energy you release is matched by energy of the same or similar vibrations. That’s why it’s so important to be mindful of your thoughts because thoughts become energy and energy expands to create more of what you are thinking. Know what you want and focus on that instead of the gap between your current reality and the reality you seek. Going back to my example, both my son and I wanted to register voters but thought that no one would show up during our shift who actually wanted to register. My son maintained that thinking and that became his prominent energetic vibration. His vibration was matched and that became his reality. On the other hand, I quickly shifted my thinking to how nice it would be to register voters that hadn’t had the chance to get out and register themselves. That became my energetic vibration and my subsequent reality. Practice mindfulness to quickly shift your reality. It takes practice to become mindful of your thoughts and how they create your reality. Before becoming a certified LOA success coach, I would not have known how to use LOA to bring non-registered voters to my location through thinking and speaking it into reality. I would have been like my son who continued to mutter to himself what a waste of time it was. It’s only been through practicing mindfulness that I’ve become more attuned to my own thinking and been able to quickly shift from negative or low vibrations to positive higher ones. These five steps are key to shaping your reality. Just think about the people around you. Have you ever noticed that optimistic people continually have good things happen to them while pessimistic people continually experience negative outcomes? Think of highly successful people that you admire. I bet their success is based on their belief that they will achieve that which they desire rather than waddling in the woes of “what if I don’t succeed.” You may think of it as coincidence, fate or synchronicity but it’s simply a universal law that’s always in motion — just like gravity — always matching vibrations, whether is high or low, good or bad, positive or negative. If you’re new to this kind of energetic work, start with little things such as, “Wouldn’t it be nice if my partner didn’t have to work late tonight.” Take a few minutes to visualize what you do want and allow yourself to wallow in the wonderful feeling that you will have when it comes to fruition. When you feel the emotional shift to a higher vibration, keep it up because that’s when shift starts to happen!